Opened meeting with ECW Prayer. Carolyn reported on the purchasing of grocery gift certificates to Nellie Muir Elementary School for families in need. The certificates listed “donated by…St. Mary’s Episcopal Church”. The school was extremely pleased and excited to receive this contribution. Two thank you letters from them are posted on the bulletin board. Joyce has served as ECW President nearly six years and asked if anyone present would volunteer to take over that position, either as president or co-president. No one volunteered. If someone does not step forward, the ECW will disband and any funds in their account will go the church. Shrove Tuesday is February 9th and the meal is scheduled for 5:00 pm – 7:00 pm. Sally volunteered to chair the event. Barbara will check with PM Service to see what Spanish food they would like to supply. She will also ask to see if anyone would be interested in being ECW president or co-president. Father Samuel would like to invite Emmanuel Lutheran Church members to join us for our Shrove Tuesday Supper. It would be helpful if we had some kind of a count so we could plan accordingly on amounts of food items needed. Sally will check with him on Tuesday. ECW received a generous donation from Nancy Littlemore for all of their help during Joe’s Memorial Service. Music for the AM Service will be chosen in two week increments according to church calendar two months in advance. Carolyn will chair and would appreciate help if someone is able to assist. As previously discussed, ECW would like to spend some of their funds helping in our community over the holiday season. It was decided to contact Nellie Muir Elementary School and coordinate the donation of eight, $50.00, grocery gift certificates to families they believe would benefit from these gifts. Carolyn will contact school personnel, purchase grocery gift certificates and get them to Nellie Muir for holiday distribution. 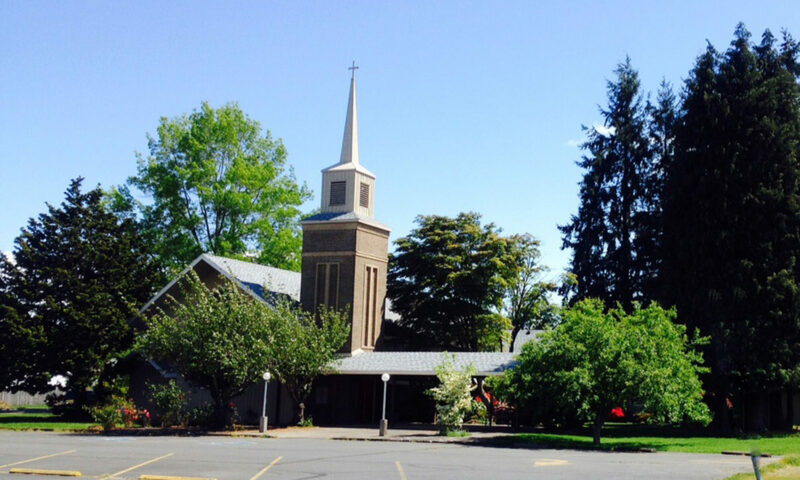 ECW has been asked by Father Samuel to host the monthly Woodburn Ministers Luncheon on December 15th at 11:30 am. Below is a breakdown of plans for that function. ECW Members will meet the morning of the luncheon at 10:00 a.m. to finish preparing the meal and any additional tasks. They will clean up when the meeting has adjourned. Joyce has served as ECW President for five years and would like others to start thinking of volunteering for this position in January 2016. Joyce spoke with Barbara B. regarding bilingual song book. She indicated Don had it. Joyce will follow up with him regarding this and other materials that might be available for choosing songs according to the church calendar. Father Samuel will purchase a calendar this week that also contains the appropriate information for song choice by church calendar. Songs will be reviewed weekly for the upcoming Sunday service. Bake Sale will be November 22nd at both services. Anne and Carolyn will be available for sales during both services 10:00 am and 6:00 pm. Funds from sales will be placed in the St. Mary’s general fund. Ideas discussed for use of excess ECW Funds included: packets for homeless, cash donation to families recommended by school district, pet food, winter coats and hats for children and adopting families. It was decided Father Samuel would bring us information for, four families; and, we would make decisions on how to proceed once we had received that information. The use of our facility as a possible site for a Pre-School for children in our community was discussed. Keeping our church doors open during the week in order to be of service to our community in additional ways. Opened meeting with Lord’s Prayer. Music has been chosen by Barbara Briskey, John Venner and Liz Lockwood for the month of July. Hymns will be used on a monthly basis and then added to as time goes on. Barbara Briskey will contact the church that provided us with the Bilingual Pray Books to see if we can secure some Bilingual Hymnals. If they can help us out, ECS will make a contribution to them as way of thanks. The Father’s Day potluck was a great success! In keeping with ECW’s mission statement, Father Samuel mentioned there were educational opportunities for our congregation locally and through Chemeketa. We will follow up on this information. It was also suggested that we extend ourselves into the community by offering a Soup Kitchen. Food can be provided through Aware Food Bank to help assist us in this program. Other churches in the area currently offer a “Tuesday’s Supper” so Carolyn Sweeney will check to see if this is something that would go along with our idea of a Soup Kitchen. Kelly Carlos will be checking with Father Samuel about beginning a Confirmation Class. We would also appreciate the children being active participants in the service by being a crucifer, lector, offering and greeter. May set appropriate age requirements for responsibilities. Barbara Escutia will be sending information to the local groups that are served by Mary and Elizabeth’s Closet letting them know who to contact as well as hours of availability. She and Kelly Carlos will sort clothing items and the church members will help with laundering as needed. Meeting was adjourned with a prayer led by Carolyn Sweeney. Old Business: A 32’ Ladder was purchased in the amount of $319.00 for the church to use for ongoing maintenance. Funds were provided by the ECW Easter fundraiser and an anonymous donation of additional funds. The previous topics of favorite hymns and building supplies were postponed until the next ECW meeting. It was agreed the Father’s Day celebration would be a potluck; and, it would be announced at next Sunday’s service as a reminder. The women will be providing decorations for the special day and serving the meal for “Father’s” during the luncheon. ECW’s mission is to support the church and its families economically, emotionally and educationally. – Opened meeting with Lord’s Prayer. – May meeting minutes approved. Old Business: The Easter bake sale raised approximately $150.00 toward the purchase of a new 24’ extension ladder for the church. Price information on ladders was provided. It appears their will be additional funds needed to make this purchase so the ECW agreed to match the funds raised and also check to see if any funds were available through the church from recent rental fees. The ECW will leave the purchase of the ladder to the BAC’s junior warden. It was proposed that copies of some of the “favorite hymns” used in the past be copied again and made available in the booklets in the pews. Hymns will be used on a monthly basis in order for the church members to become familiar with them. ECW members have offered to help in the organization for choosing music and making copies. Donation of supplies will be explained during announcements on Sunday, May 10th. Once members become aware of this request, the bulletin will then list the one Sunday each month that a donation of a certain supply will be requested. New Business: ECW members agreed it would be a nice idea to plan a luncheon for June 21st for Fathers’ Day and invite all “Dad’s” to attend. Father Borbon suggested the ECW adopt a Mission Statement. Members of the ECW were to bring their ideas to the next meeting. Closed meeting with a prayer led by Father Borbon.